First let me say, that I’m not the type of person who gets angry easily, but after reading Devina DeDiva racist comments, I could not help but give her a piece of my mind. Come to think of it! I don’t care if the news is true that she was fired. Devina De Diva, you deserved everything happened to you. In truth, I would not mind a silly comment, against Megan Young who was crowned as Miss World 2013. I know some people were not happy that she won as the young actress, host and film student could not pleased everybody. So, if she irked some people after beating 127 beauties, it is understandable, but what is not acceptable are racist comments that not only belittle Miss Megan Young, who won the title of Miss World 2013 and made history as she is the first Filipino to be crowned in the 63-year-old beauty pageant but all Filipinos, including me. As I have said awhile ago, I understand if someone is not happy with the result. Of course, I cannot expect other countries to be happy, but I did not expect a racist comment from someone who not only bashed the current Ms. World winner but the entire Filipino race. Who does she think she is? She is not even beautiful, and with the way she treats people, I think she is one fucked up person. 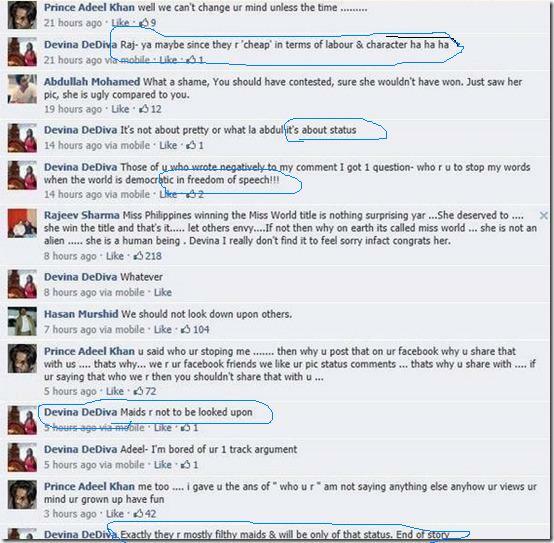 To Devina DeVida and other People like Her You Don’t Know Filipinos! Yes! Philippines sends domestic helpers in Singapore, Hongkong and other countries, but there are also millions of Pinoy working as teachers, doctors, engineers, nurses and etc. in every one continent as well, you know why? 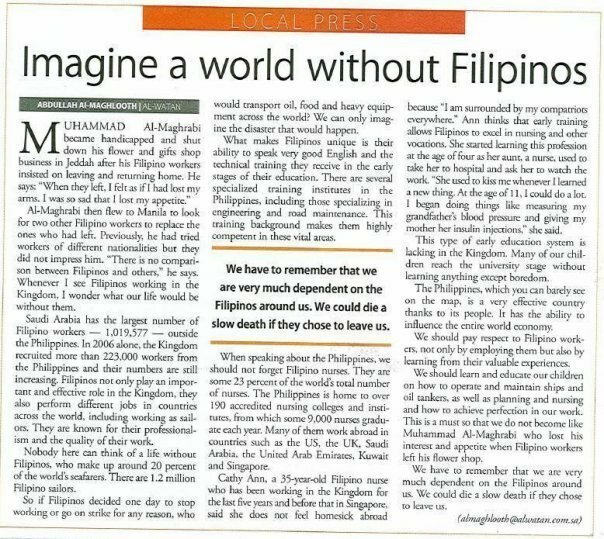 Filipinos are “world-class” workers. Well, we won more than just the Miss World 2013 crown but also the respect of other nations. What about you? the above comment went viral after another facebook user took screenshots of the debate going on. 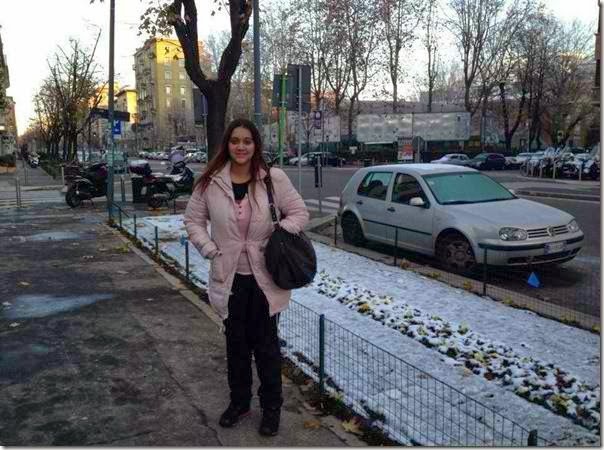 (See viral photos of DeDiva comment on Facebook that became the trending topic on micro-blogging site Twitter and other social media sites. 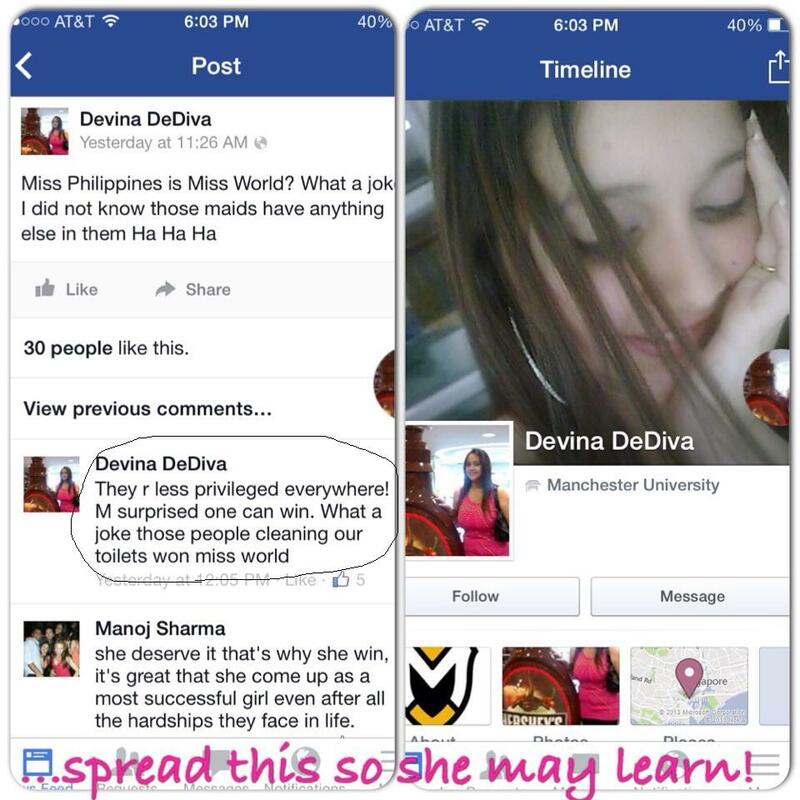 Ms. DeDiva, in case you are not aware, Philippines have a high literacy rate. Our education system follows the western (United States) example, and English is the second language in Schools. Children as young as 4 years old are taught English and watched English movies, practically why most Filipinos are bilingual. 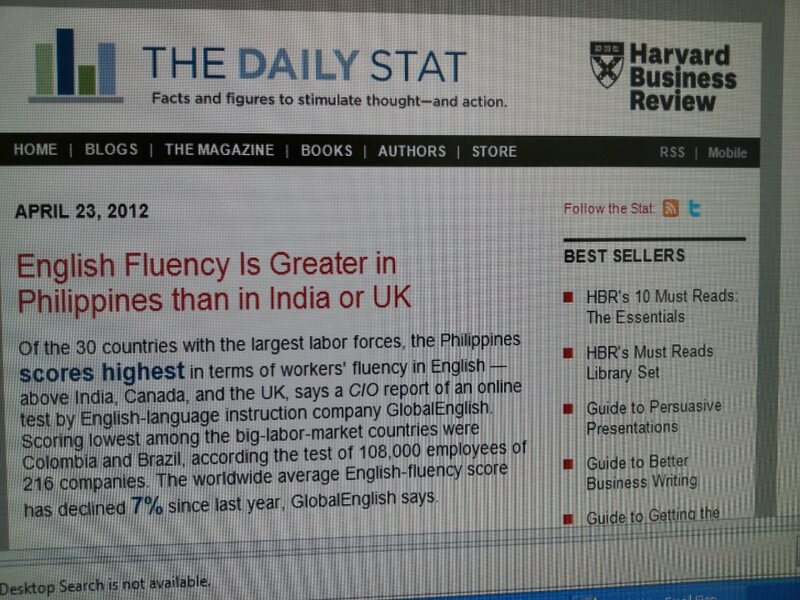 If what you are saying is true, that we are uneducated race, then why did we top the business English proficiency on Global English in 2012? Below are the countries that top the Global English proficiency. Regarding Filipinos being poor, well, we never claimed to be a wealthy country, but we are also not poor. It is just unfortunate that our government officials are mostly corrupt that’s why our country is not as wealthy as Singapore where you are born. Filipinos are also not smelly by nature, so I don’t know where you get the idea. In fact, most pinoy, shower 2 to 3 times a day, even in cold weather. So, before you make stupid comments again, better research first. This post is dedicated to you Devina DeDiva, written to help you get your facts straight and to say, I hope you learned your lesson. If losing your job is still not enough, well, you are really one crazy person. See post, Devina DeDiva will not say sorry and then recently, according to a reliable source from Philippine Daily Inquirer Megan Young basher was fired from work. 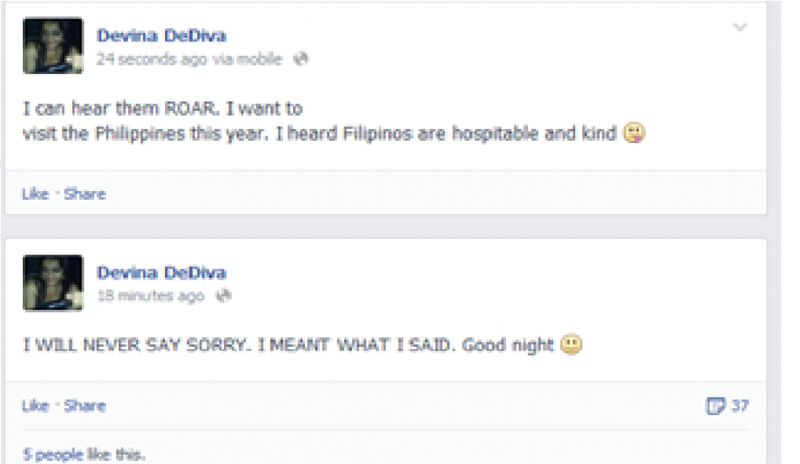 Basher Devina DeDiva “I will not say sorry” post, check the link for full story. 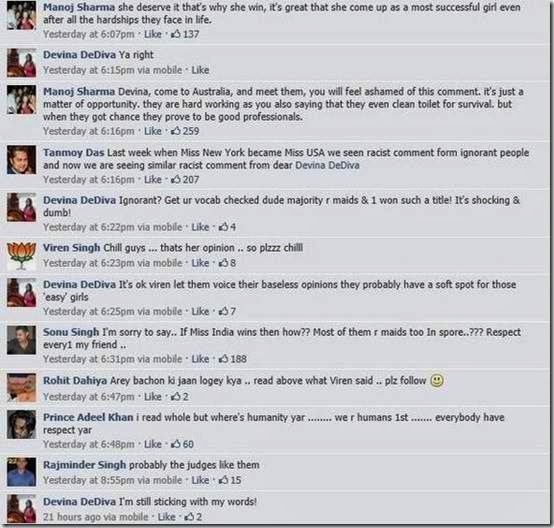 Miss World basher Devina DeDiva Fired From Work according to latest news. By the way, Filipinos are well rounded, friendly and kind but if you made a mistake of thrashing another pinoy online again like what you did to Megan Young, expect pinoy to stand up. You are also not welcome in the Philippines. To Megan Young, Congratulation! You deserve the title for your beauty, wits and grace..
To my fellow pinoy, please restrict your comment to Devina DeDiva alone, don’t generalized or you will offend other people from other countries, I’m saying this because I have also read a few comments against the people of India. Ok! Lng po maglabas tayo ng saloobin natin, wag lng po pangkalahatan para wag magalit satin ibang tao. Salamat Po! Suportahan natin ang kapwa Pinoy! I’m A Filipino and Proud!